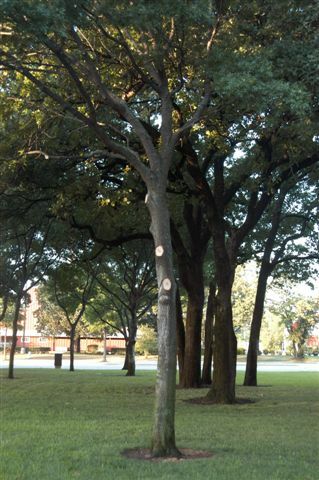 Remember that every cut hurts the tree. 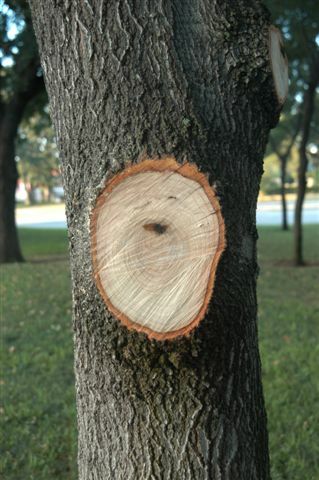 You’ve heard that thinning trees is good for them, but it’s not. 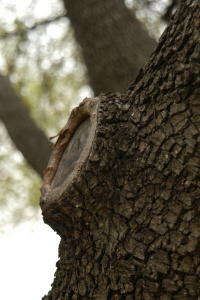 Thinning may be good for the grass and other plantings under the tree, but it is not good for the tree. 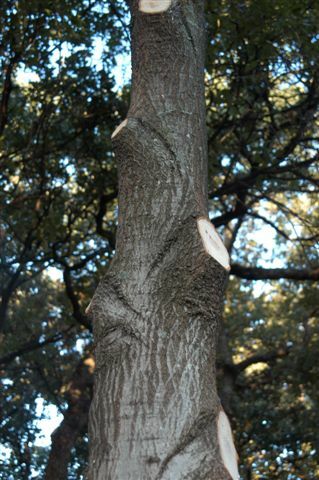 Heavy thinning is called gutting and is severely damaging. Cutting off lower limbs, lifting, is in the same category. 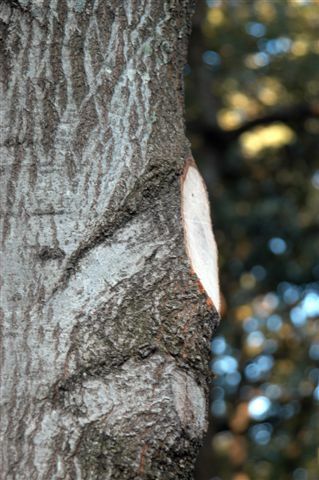 If limbs are in the way – hanging too low over the driveway or hitting you between the eyes or scraping your head when you mow the lawn, cut them off – just don’t be fooled that it is good for the tree. It’s not. It only benefits you. No pruning paint either. Nature doesn’t use it so why should we? Too many flush cuts together. 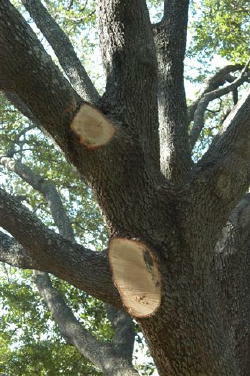 Grossly improper pruning showing flush oval cuts that removed the branch collars. 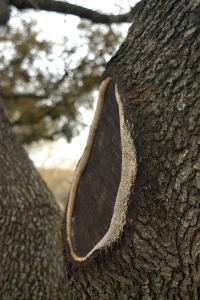 Left shot is a proper pruning cut leaving the branch collar fully intact. No pruning paint was or should be used. 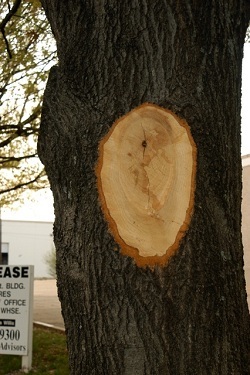 Right photo shows an improper flush cut healing poorly.